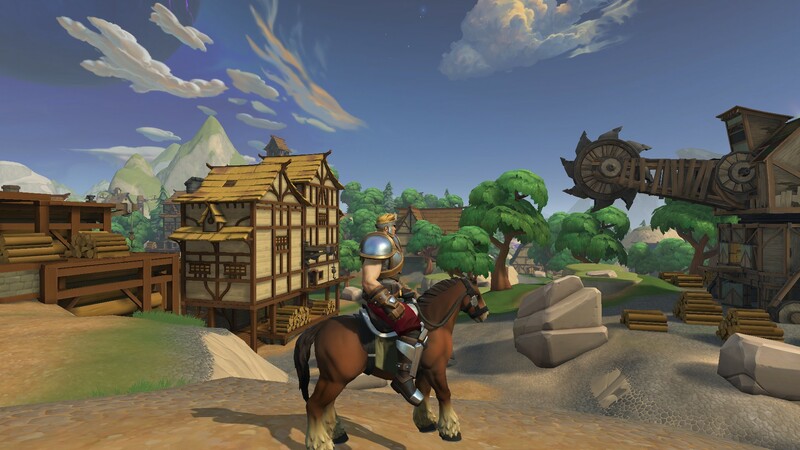 Realm Royale is Hi-Rez Studios’ contribution to the battle royale genre, a standalone title grown out of their initial plans to add the gametype to their existing team-based shooter, Paladins. 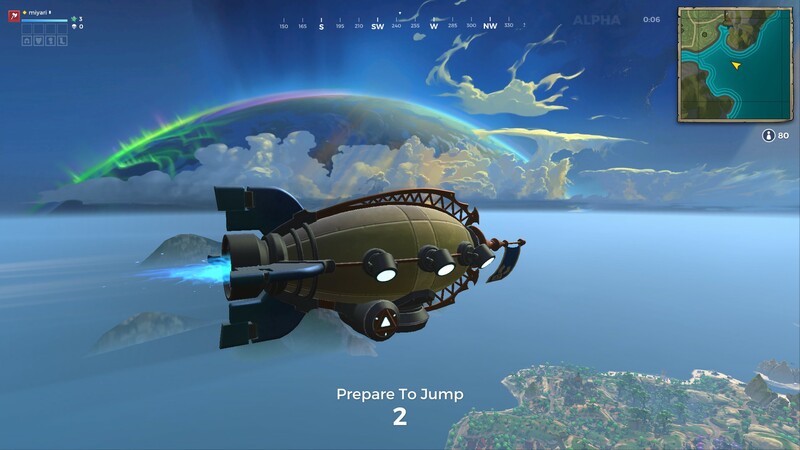 Like other games in the genre, Realm Royale starts each match with players skydiving from a zeppelin, falling with style toward their desired destinations on the map. 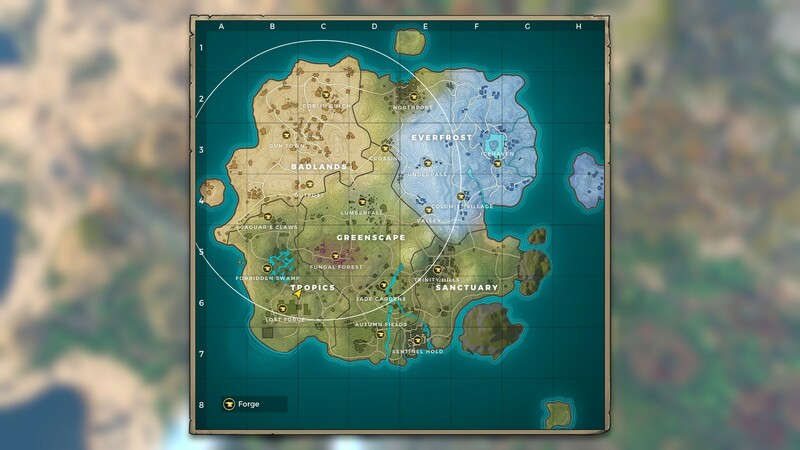 In Realm Royale, this map is divided into five large regions—Badlands, Everfrost, Greenscape, Sanctuary and Tropics—which are further divided into multiple, smaller locations. As you can probably guess from the names, each region represents a specific biome. You can pull up the in-game map at any time by holding down [Tab]. In this guide, we’ll discuss each region in detail, so you can learn everything you need to know about Realm Royale’s map! Generally speaking, there are no clear “best” areas of the map to land. 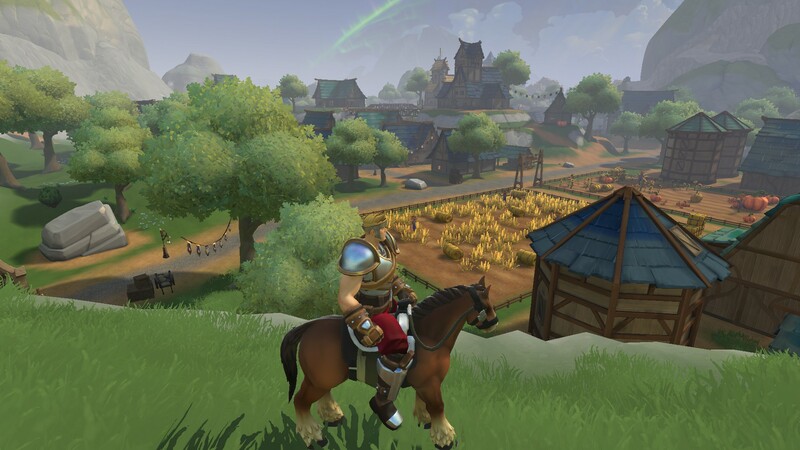 As most of the focus in Realm Royale’s early game is on obtaining necessary weapons and armor, it’s generally recommended to focus on trying to land near an area with a good population of buildings. These areas are easily noticeable on the map with their concentrations of dark, shaded boxes. Buildings will most often contain chests filled with much-needed loot. It’s important to keep in mind that everyone else out there is just as interested in that loot as you are, so you’ll need to be ready to fight upon turning corners or heading up stairs inside the buildings. Because of the fog, outlier sections of the map will be relatively inaccessible, so it’s important to know where to head within the circle you’ll be starting in. In the map section below, we’ll include tips for our favorite locations to help secure some quick, early-game loot. 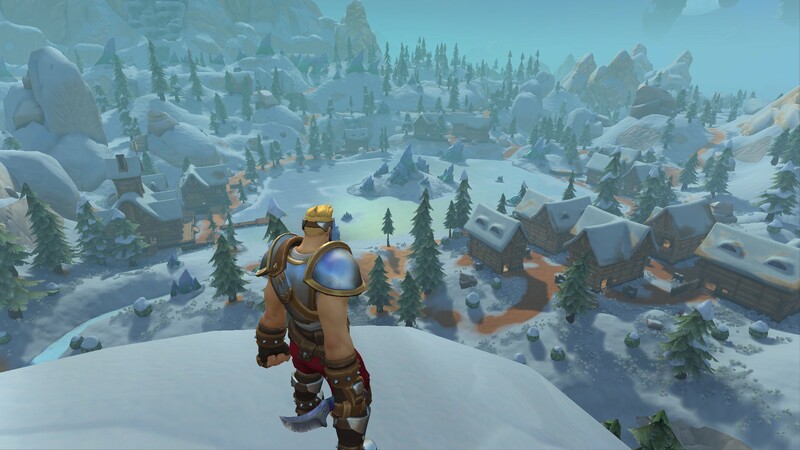 Realm Royale features a fog mechanic similar to Fortnite’s Storm Eye. A giant wall of fog surrounds a safe, inner circle on the map, which gradually shifts and shrinks to force players together and keep them engaged. Hang out on the edge of the circle too long, and you may find yourself trying desperately to outrun the encroaching fog. It will likely win. This makes the seemingly massive map quite a bit smaller when it comes to actual, functionally playable areas (since hanging out in the fog will, ultimately, kill you). There are a total of 18 Forges scattered throughout these regions, which are clearly labeled on the map with a yellow anvil icon. Forges are necessary destinations for crafting Legendary-quality gear. They can be hotly contended, however, so expect to get in a fight while waiting for your gear to finish crafting. When a Forge is in use, it will spew smoke into the sky and make quite a bit of noise, which is likely to attract enemy attention, so be on your guard. It’s also important to be aware of the fog’s movement, as you don’t want to be stuck standing around waiting for an item to craft while the fog drifts too close for comfort. Badlands is a dry, desolate region filled with dirt, rocks, cactus, and quarries containing a bit of all three, located at the northwestern corner of the map. This region features three destinations: Goblin Gulch, Gun Town, and Outpost. Each of these named areas feature its own Forge, for a total of three Forges in this region. 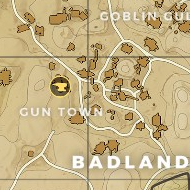 Our pick for the best destination in Badlands is Gun Town. For starters, the place is literally named Gun Town. How could anyone resist? Seriously, though, Gun Town is crammed full of buildings which are equally as crammed full of chests. However, the town ain't big enough for everyone, so be prepared to grab a gun fast and get to fighting for the rest of the loot. Everfrost is a veritable winter wonderland featuring a large, ice-covered lake surrounded by snow-covered hills, located at the northeastern corner of the map. This region features six destinations: Northport, Icehaven, Underpass, Coldmist Village, Valley, and Crossing. Each of these named areas feature its own Forge, for a total of six Forges in this region. Our pick for the best destination in Everfrost is Icehaven. 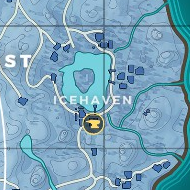 If you manage to land on or near the frozen lake, you have quick access to the surrounding ring of buildings, giving you a great head start on collecting loot. It can be a bit hard to avoid being noticed in and around the lake, so you’ll have to be careful and ready to fight almost immediately. If you’re finding Icehaven a bit too populated for your taste, Coldmist Village is another great starting point. Greenscape is a wide forested region featuring tons of settlements and a unique forest filled with massive, purple mushrooms, located in the middle of the map. This region features four destinations: Lumberfall, Fungal Forest, Jade Gardens, and Autumn Fields. Each of these named areas feature its own Forge, for a total of four Forges in this region. 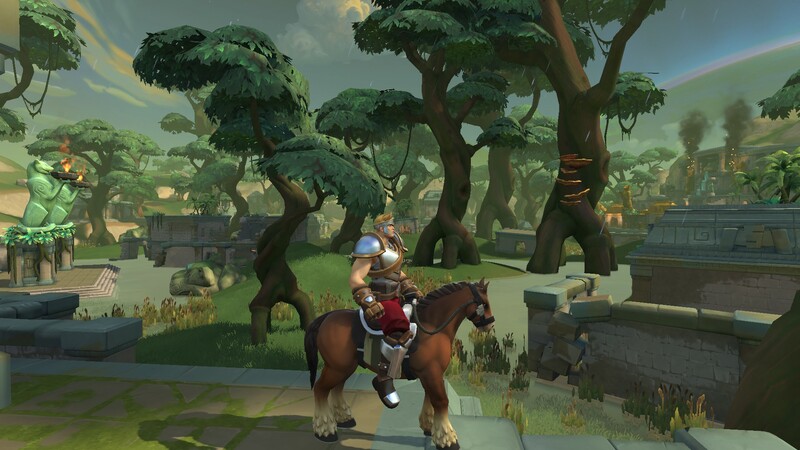 Our pick for the best destination in Greenscape is Lumberfall. 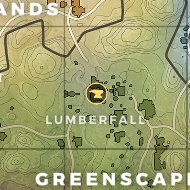 Lumberfall is easily one of the most overall popular landing points, for numerous reasons. For starters, it’s nearly smack dab in the middle of the entire island, making it a generally easy to reach landing point. Lumberfall features numerous tall buildings as well as many without roofs, which gives you the opportunity to dive straight down onto a chest if you aim it right. You’ll also find numerous outdoor chests, which may be quicker and easier to reach. 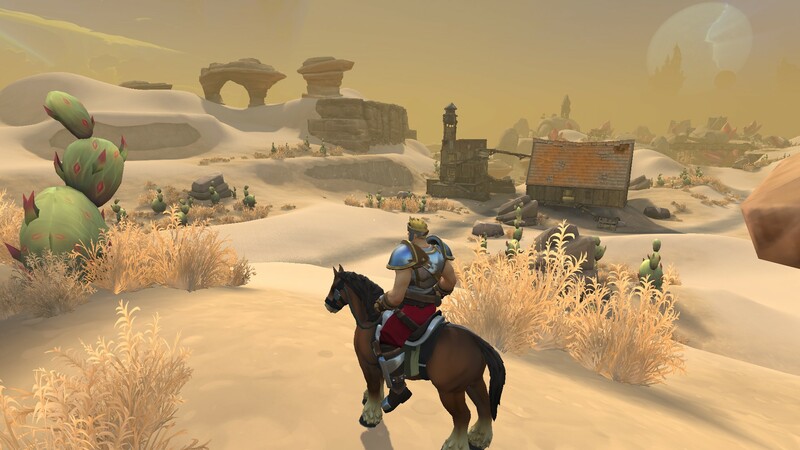 Sanctuary, one of the smaller regions in Realm Royale, is a forested area surrounding two large settlements that certainly lend to the game’s fantasy theme (think World of Warcraft’s Elwynn Forest). This region features two destinations: Trinity Hills, and Sentinel Hold. Each of these named areas feature its own Forge, for a total of two Forges in this region. Our pick for the best destination in Sanctuary is Trinity Hills. The area features a high concentration of houses (and chests) in the main town, and you should certainly expect company. This area features a good number of outdoor chests, as well. 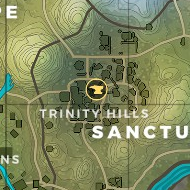 If Trinity Hills is too much for you to handle, there are smaller clusters of buildings on the outskirts in which you can also find a decent supply of chests. Tropics is a dense jungle filled with temple ruins and massive trees surrounding a thick swamp. This region features three destinations: Jaguar’s Claws, Forbidden Swamp, and Lost Forge. Each of these named areas feature its own Forge, for a total of three Forges in this region. Our pick for the best destination in Tropics is Forbidden Swamp. Don’t worry, traversing through the wetlands nowhere near as annoying as it can be in other battle royale games, such as Fortnite. 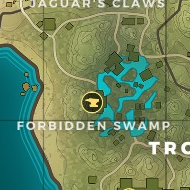 The Forbidden Swamp features a high concentration of chests in its relatively small area, so you can quickly move from chest to chest, looting and Disenchanting, to get some good gear and a number of Shards early on in the game.